Vacation rental house. Sleeps 10, 2 bedrooms, 2 bathrooms. Dogs allowed. This charming single-level, dog friendly, 2 bedroom vacation home in popular Ramada Beach. 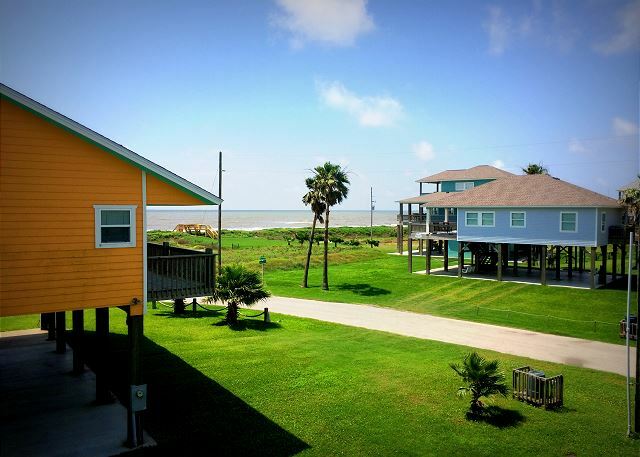 is a perfect retreat for you Crystal Beach visit. 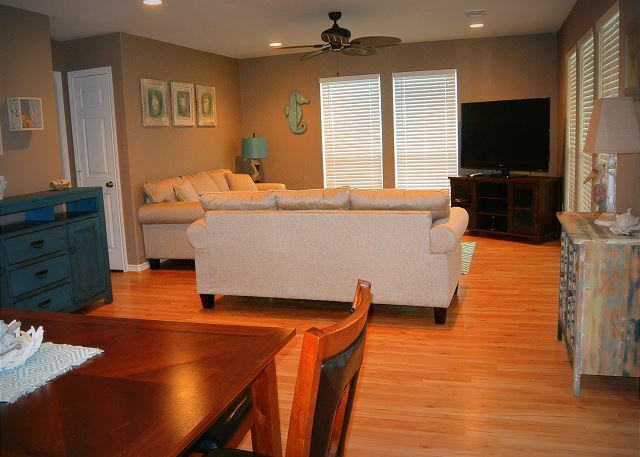 Comfortable living area, spacious kitchen and great views of the Gulf with easy beach access. TV in living room and both bedrooms, WIFI, satelite and DVD players. Master Bedroom (Queen), Bedroom 2 (2 sets of Full/Twin Bunks), Living Room (Queen Sleeper Sofa). Master Bath (Shower only), Guest Bath (Shower only). This home works well with OHANA, RAMADA INN, SHORE HAVEN, and JANIE'S. 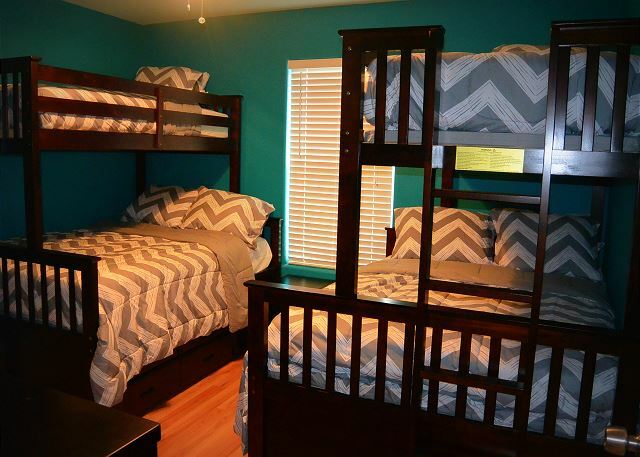 Rooms Sleeps 10, Master Bedroom (Queen), 2nd Bedroom ( 2 sets of Full/Twin Bunks), Living Room (Queen Sleeper Sofa). We were thoroughly pleased with our stay at this cabin (we have rented this home before). It is the right size for us, and it has all the amenities we needed for a much needed vacation. We will rent this cabin again. The location and beach view was perfect! Friendly neighbors were an added bonus. Already planning my next getaway. If I could add anything, it would be chairs on the bottom area but will bring my own next time. This house was great for our family of 4 for a week stay in July. The house was conveniently located to stores, water slides, restaurants, and beach. The house was clean, well furnished, and has a nice view of the beach. It was exactly as pictured and described. Check in and out was so easy with Cobb. We will definitely rent with Cobb again and would also consider renting this specific house again. Thanks for a great stay! The beach house was a great place to stay at Crystal Beach. We stayed two weeks. Close to restaurants, stores, beautiful view on the beach. I would recommend this beach house to stay. Great trip for my husband birthday. It was perfect from the time we checked in with Cobb to the time we checked out. The beach house was a perfect location for us, you could still see the ocean from the kitchen and the porch. The house was so clean, and the decorations were so cute. It was a short golf cart ride back and forth from he house to the beach. We had a great time and would definitely rent this one again. The house was in great shape, beautifully decorated. We experienced some electrical issues in one room and Cobb responded immediately to fix the small issue. Great sleeping arrangements, great open layout, awesome outdoor shower and TVs in all the rooms. Cobb provided free movies and a great gift for doing business with them. 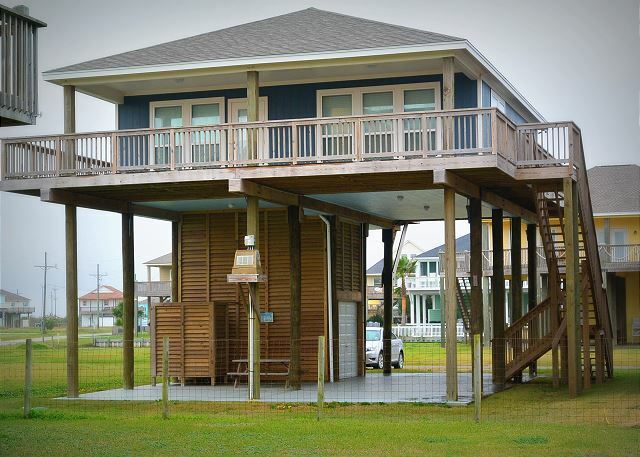 This was a great vacation house with easy access to the beach! Our house was very nice and clean . My son loved the bunk beds !! It was close to the beach . Our family really enjoyed our stay. Great view of beach. Really clean. I was thoroughly pleased with the beach cabin we rented. It was clean, nicely furnished, and was perfect for us. It was a great place to stay! Very open and has a great very of the beach. 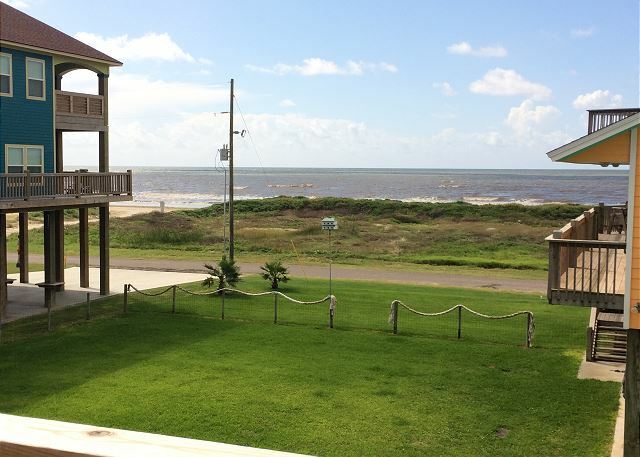 Excellent rental, clean, nice view of the gulf. Everything we could have asked for. The family all enjoyed our stay at the beach. This is a very nice house for a small family or group. Everything is new. Great location with the feel of a front row house. I would definitely stay again. The check in and out was easy as always with Cobb. Only one glitch during our stay, the outside shower wasn't working. Thank You for the review and we are so glad you enjoyed your stay!! 1 Coastal Calm is a great house and we are happy to report that the outdoor shower is fully functional, just a small adjustment needed on the handle!! We stayed at 1 Coastal Charm spring break 2016.Very cute ,very clean cabin with an awesome view of the beach!